I love to exercise. It helps me to feel my best. Without exercise, I feel stir crazy, more irritable and just not myself. My "problem" is that I have such a hard time getting motivated to do any other kind of exercise besides walking. I love to walk so much. When the weather is nice, I go outside with my husband, baby, dog, sister, mom, etc. to go for a walk. I love to have deep conversations while exercising. I love to catch up with my husband after work. I love to point out different things outside to my daughter. And most of all of course, my dachshund Jaxen loves to walk daily so that is my #1 reason. When the weather is cold, I jump on my beloved treadmill and work on blog stuff while walking thanks to the awesome treadmill desk that my husband built me in a few hours. 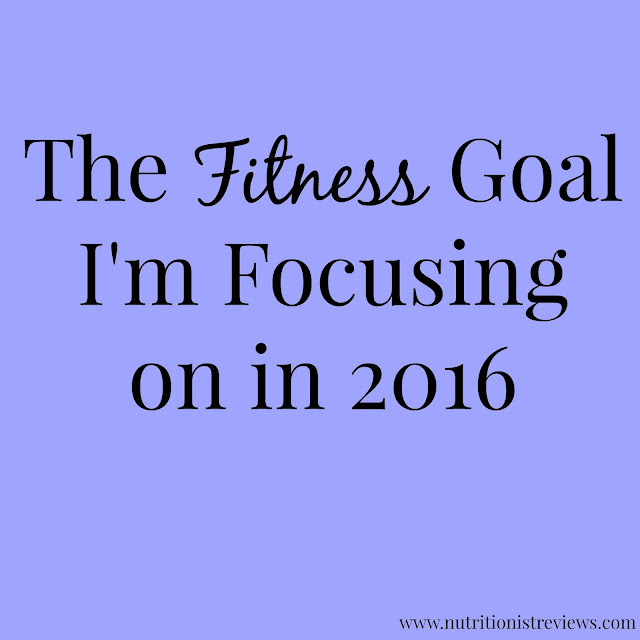 My goal for 2016 is to increase my strength training and other exercise. When I lift weights, do circuit training or run, I feel even better. Something about strengthening my muscles and increasing my heart rate really makes me feel good. I am not working out to lose weight but to get stronger. My challenge to myself in 2016 is to strength train at least 1-2 times per week and do something that increases my heart rate more at least one time per week (running, circuit training, etc.). Since the best way to achieve a goal is to make them SMART (Specific and Strategic, Motivational and Measurable, Achievable and Attainable, Relevant and Realistic and Time Sensitive and Trackable), I want to put specific measures into place to help me reach these goals. 1. Make them measurable- I specifically want to strength train 1-2 times per week and do a workout that really increases my heart rate at least once per week. 2. Do it first thing in the morning- You know I love to talk about how working out in the morning is the best and I am such a morning person. By getting it done first thing in the morning, it helps me not have any excuses. 3. Write it down- A couple of years ago, I wrote down all of the exercise that I did for 5 months to keep myself accountable. I loved this! I am going to be writing down my strength and increased heart rate workouts. 4. Increase weight and reps- Right now, let's say that I can do about 10-15 pushups and bench press a small amount of weight. A way to measure that I am getting stronger is if I can do more reps and be able to lift more weight. As my daughter grows, she is getting heavier and I do not want to be weak! I want to be able to carry her everywhere and be strong for her. Also, showing my daughter fitness is a good example to her. 5. Have the right equipment- Without the right equipment, you cannot reach some of your goals. A couple of awesome items that I am eyeing from Sam's Club are the ProForm Pro 2000 treadmill and the HealthRider H82E elliptical. Although my treadmill works, it squeaks badly when I run so a new one would help so much with motivating myself to run. Also, since I want my heart rate to be significantly increased during my workout, I would love the Fitbit Charge HR which tells you what your heart rate is so that I know that I am working hard. Sam's Club has lots of fitness products and healthy foods at a great value which can help you meet your goals. For strength training, we have a bench press and hand weights in a couple of different weights that get the job done. Sam's Club is having a #BetterYou Twitter party on Thursday, January 14th at 9:00 AM PST / 12:00 PM EST.